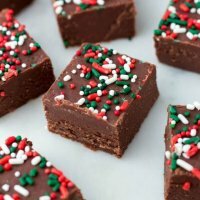 This Chocolate Eggnog Fudge is so smooth, chocolate-y and the perfect indulgence to enjoy yourself or give as a gift to someone special. It’s infused with eggnog making it perfect for the Christmas & Holiday season! 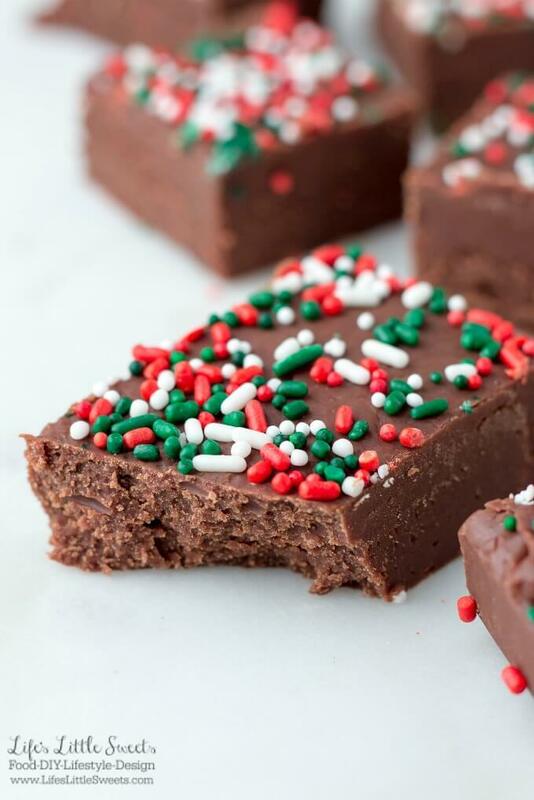 This recipe uses mini marshmallows making it an easy-to-make, quick fudge recipe. 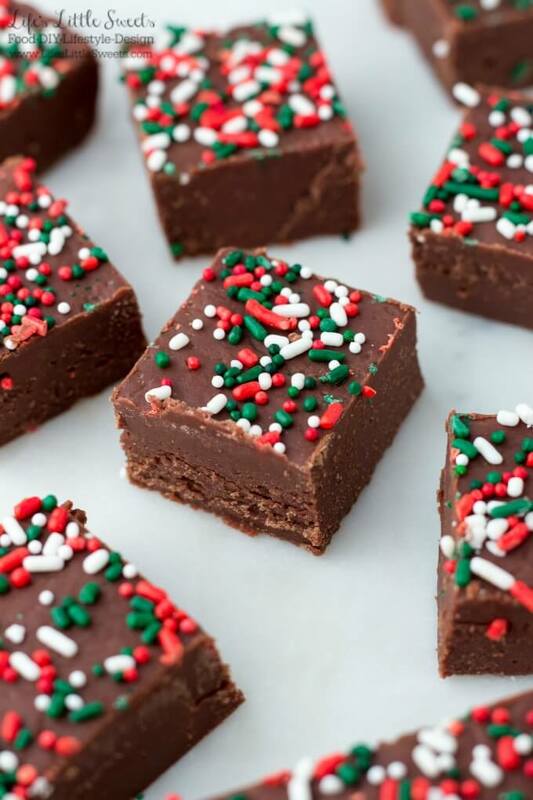 This Chocolate Eggnog Fudge combines the base of one my favorite fudge recipes with eggnog, making it perfect for the Holiday season! 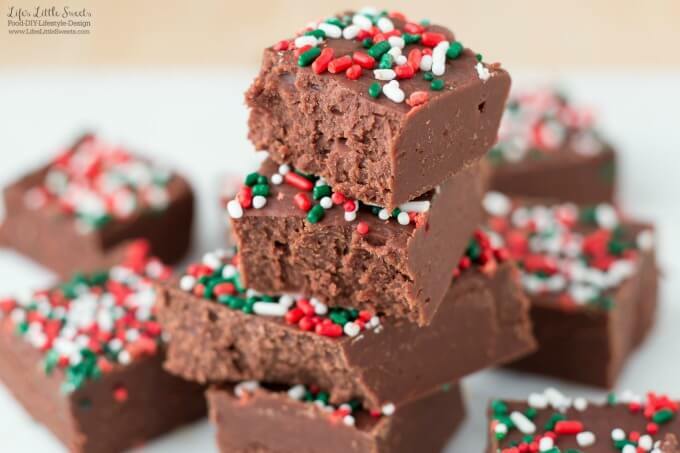 This Chocolate Eggnog Fudge recipe only requires 7 or more ingredients! Not including cooling time, start to finish, this recipe only takes 20 minutes 🙂 A great time saver, if you are looking for a FAST, homemade recipe. Did everyone get what they asked for from Santa? I did! I shot this recipe with my new Canon DSLR camera. I am always trying to improve my photography skills. I look forward to sharing more recipes and lifestyle posts with you in the New Year! I will also be sharing more behind the scenes posts on my newer blog SaraManiez.com. Grease an 8 x 8 inch pan with butter and then line with 2 pieces parchment paper that are crisscrossed, leaving an overhang. Butter the paper and set aside the pan. This step helps enable you to remove the formed fudge from the pan with ease later on. Using a medium or large saucepan over low-medium heat, add 4 tablespoons of butter, 3 cups mini marshmallows, 1 cup sugar, ½ cup eggnog and ½ teaspoon kosher salt. Stir gently until the mini marshmallows are melted, this may take 8-10 minutes. Remove from heat, add ½ teaspoon vanilla & 12 ounces of semi sweet chocolate chip morsels, stir until the chocolate is fully melted and everything is combined. Pour into prepared 8" x 8" pan. Allow to cool for 30 minutes. 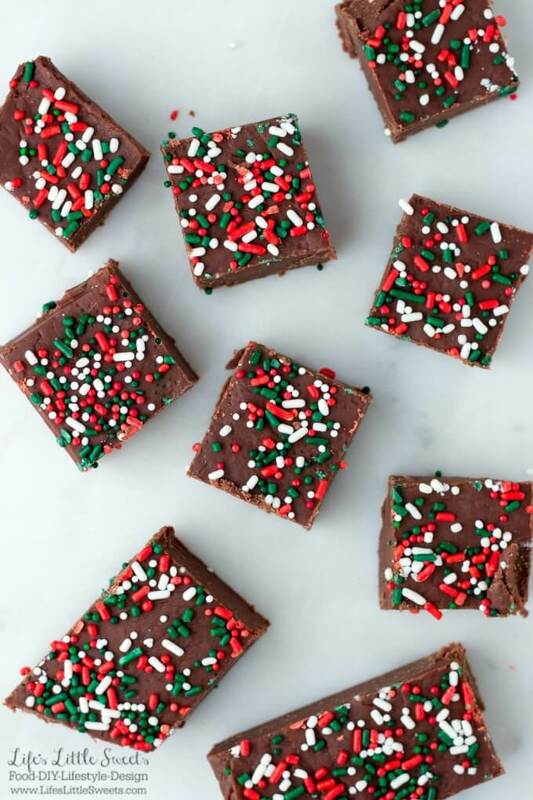 Sprinkle 1 tablespoon or more of Holiday-themed sprinkles over the top 15 minutes into cooling. Cover and transfer to refrigerator and set for 1 hour. 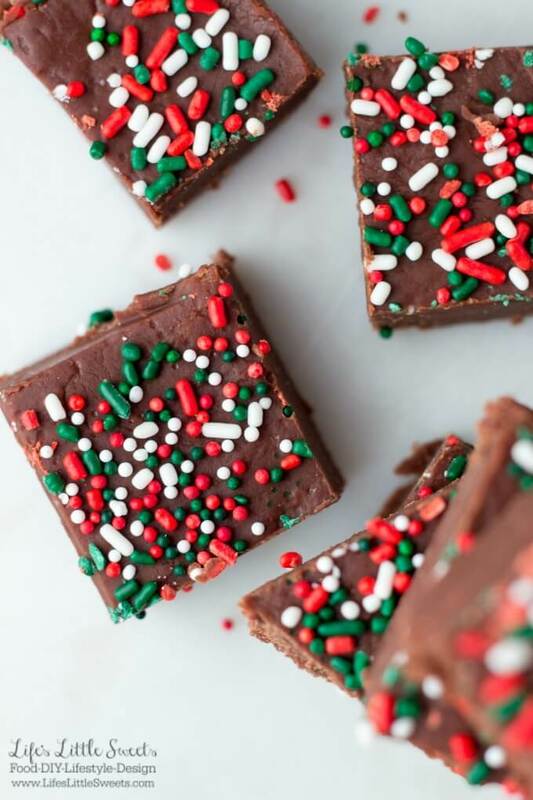 When the fudge is completely set, use the overhang of the parchment paper to gently lift the fudge onto a cutting board to cut for serving. Package in jars or boxes if you are gift giving. Enjoy! 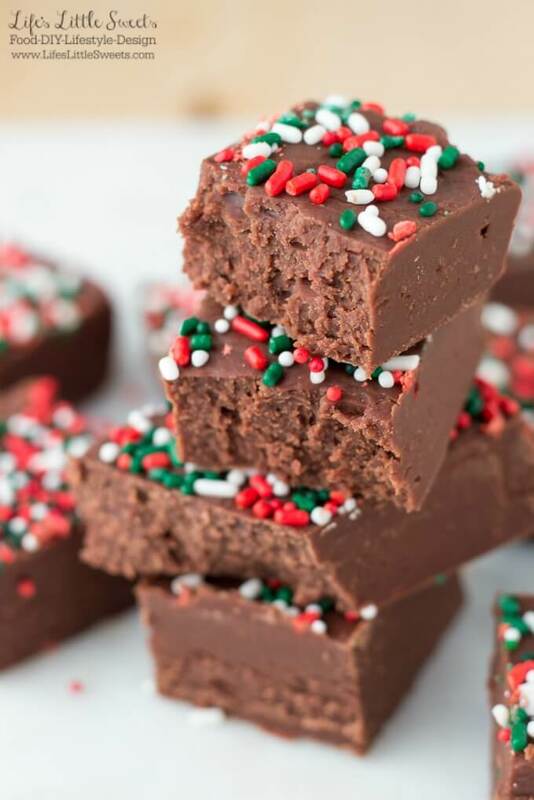 You can store this Chocolate Eggnog Fudge in the refrigerator in an air tight container for up to 5 days. 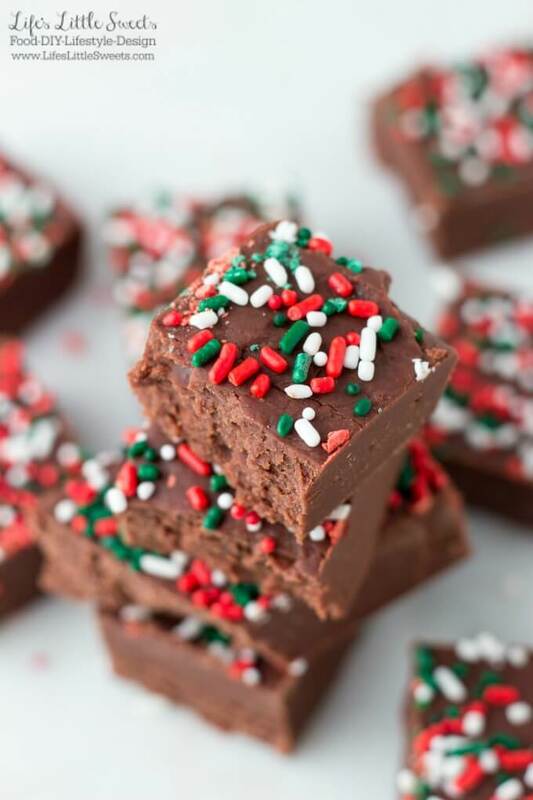 Just made this fudge. It is overly sweet and absolutely NO eggnog flavor.